Success! Jameson from Haiti raised $1,500 to fund prep for cardiac surgery. Jameson's treatment was fully funded on May 1, 2018. During surgery, the hole in Jameson’s heart was closed with a patch and the muscular blockage was removed. He should now be able to live a normal, active life with no further symptoms from this condition. Jameson is a young student from Haiti. He lives with his mother, father, and siblings in the mountains of central Haiti. He previously attended elementary school but has not gone this year due to his heart illness. Jameson has a cardiac condition called Tetralogy of Fallot. This involves several related conditions including a hole between the two lower chambers of his heart, and a muscular blockage of one of the valves. These defects prevent his body from getting enough oxygen, leaving him weak and short of breath. Jameson will fly to Cayman Islands to receive treatment. 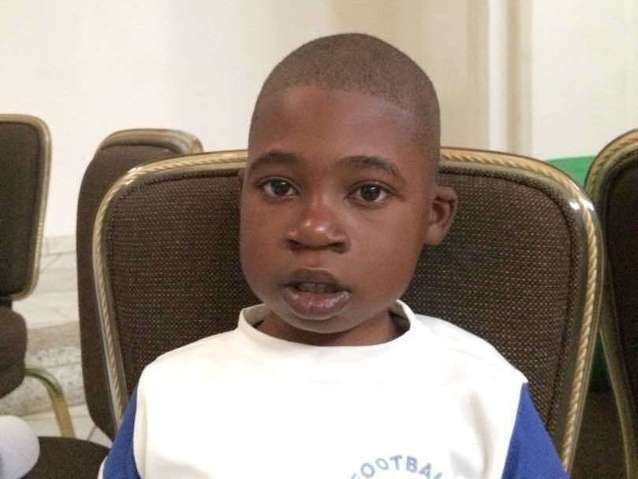 On April 12, he will undergo cardiac surgery, during which surgeons will close the hole in his heart with a patch, and remove the muscular blockage.. Another organization, Have a Heart Cayman, is contributing $22,000 to pay for surgery. Jameson’s family also needs help to fund the costs of surgery prep. The $1,500 bill covers labs, medicines, and checkup and followup appointments. It also supports passport obtainment and the social workers from our medical partner, Haiti Cardiac Alliance, who will accompany Jameson’s family overseas. Jameson's case was submitted by Owen Robinson at Haiti Cardiac Alliance in Haiti. Jameson was submitted by Owen Robinson, Executive Director at Haiti Cardiac Alliance, our medical partner in Haiti. Jameson's profile was published to start raising funds. Jameson received treatment at Health City Cayman Islands. Medical partners often provide care to patients accepted by Watsi before those patients are fully funded, operating under the guarantee that the cost of care will be paid for by donors. Jameson's treatment was fully funded. Jameson's treatment was successful. Read the update. Mugabo is a student from Uganda. He is the second of three children. For three years, Mugabo has had a right inguinal hernia. The hernia has caused him weakness and pain. Fortunately, on March 20, he will undergo hernia repair surgery at our medical partner's care center. Our medical partner, African Mission Healthcare Foundation, is requesting $249 to fund Mugabo's surgery. Once completed, this procedure will hopefully allow him to live more comfortably and confidently. Mugabo says, "I like playing football."